Aisha is a UK-trained Commercial Lawyer who has cut out a niche in energy, infrastructure, corporate finance, commercial transactions, and construction, as well as financing under the Loan Market Association documentation. She holds a Master of Laws degree in International Commercial Law from University of Kent (UK), and she is admitted as an Advocate and Commissioner for Oaths in Uganda and Tanzania. Aisha has also undertaken professional training courses on the FIDIC construction contracts and public private partnerships. 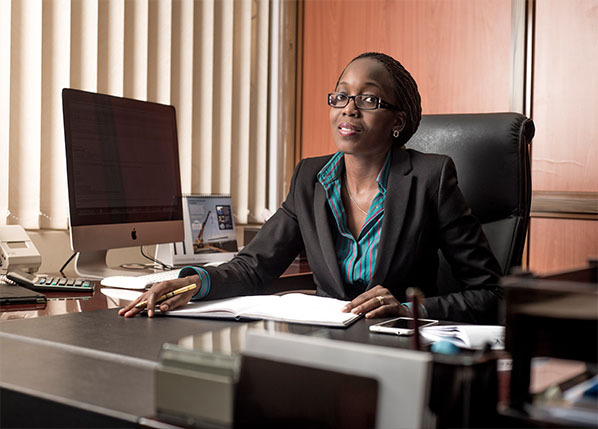 Aisha is lead counsel on a number of power projects in Uganda and has acted for various hydro power companies such as ARPE Limited, the owner and operator of the largest privately owned hydro- power project in Uganda (83 MW) worth over USD 200 million, Bugoye Hydro Limited (developer of 13 MW project), Muvumbe Hydro power project (6.5 MW), Achwa HPP3 Limited (8.4 MW), Achwa HPP4 Limited (10.5 MW) and Sugar Corporation of Uganda Limited Bagasse Fired co-generation plant (26MW). Aisha has advised the above developer during acquisition of the project(s) / project companies, permitting / obtaining authorizations, negotiations of project documents as well as finance by DFIs such as FMO, PROPACO DEG, BIO, EAIF (INVESTEC), OPEC and AFDB. Siti Training Institute of East Africa. International Human Resources Development Corporation (IHRDC), Boston, USA.